Please note that the communities listed here represent only a small sample of the condo communities available. Don't forge, if you want our assistance, we will represent you - not the seller - on the purchase of ANY condo. There is NO COST TO YOU for our services! These properties will have resale units available. PALMAIRE - Mid-century modern condos near 16th St + Camelback, minutes to the 51, and in the heart of the Biltmore Corridor! 1, 2 and 3 bedroom condos in a quaint, 18-unit community, adjacent to a city park. Fitness center, pool, BBQ areas, Interior finishes include bamboo flooring, European Style cabinets, bathrooms with brick staggered tile floors, and more! Upgrades include honed slab granite, and iPod docking stations that allow you to plug your iPod into the wall for amplified surround-sound music. Some units even have private yards! Contact us at palmaire@weareazrealestate.com. THE LOFTS AT ARCADIA CONDOMINIUMS - Garden-style (no neighbors above or below!) 1 and 2 bedroom homes, all with attached garages, from the $150's! Features include 18" travertine floors in kitchen/foyer/baths, granite counters, new roofs, 17' vaulted ceilings, and private courtyards/patios! The community includes a pool, ramada, and lots of lush, mature landscaping. 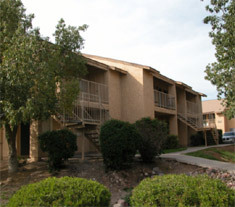 Located near 30th St. and Indian School, you are minutes to the 51, 202, downtown, or Biltmore area! lofts@WeAreAZRealEstate.com. BRICK COMMONS - This new conversion is located near the heart of the Central Corridor at 7th St and Osborn. This community features over 230 one and two bedroom floorplans from 760 to 1217 sq. ft. It's proximity to the business district, the future light rail, Steele Indian School Park and fabulous dining makes this a great location. Amenities include 9' ceilings, extra large floor plans, brick accent walls, and a built-in wine grotto! Contact us now at brick@weareazrealestate.com. 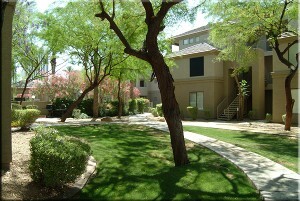 ARCADIA COURTYARDS - Only 36 units are in this quaint community - and the buildings are all single level! Updated interiors with stainless appliances, granite counters, and new flooring, priced from the $130's! Near Indian School and 38th Street. Contact us at acourt@weareazrealestate.com. 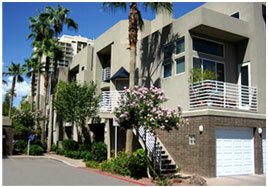 THE PAVILLIONS - 64 stylish condo homes at 36th St and Camelback - - contact us at pavil@weareazrealestate.com ! THE DAKOTA AT CAMELBACK - This new conversion provides a location in the middle of it all, near 20th St and Campbell. Convenient to dining, shopping and the thriving Camelback Corridor. This community offers five 1 and 2 bedroom homes dak@weareazrealestate.com. LA TERRAZA - This property is an oasis of calm in the bustling city. The community is centered around a beautiful large waterscape. 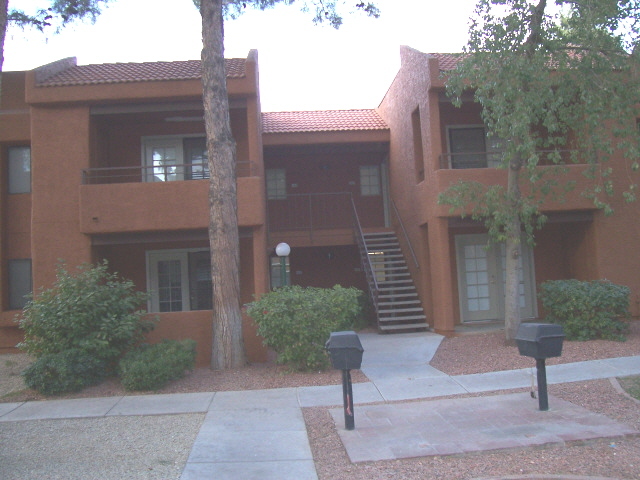 Well situated in the Camelback Corridor, it is a rare find with attached garages for all units! Five floorplans range from a 1 bed/1 bath up to a 2/2 with loft. Contact us for more information and details terraz@weareazrealestate.com. 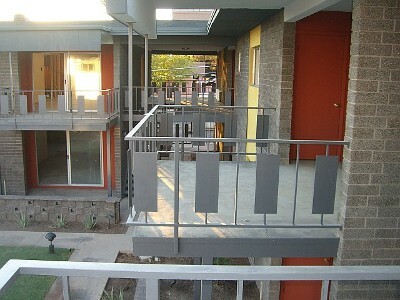 CITI ON CAMELBACK - Loft, 1, 2 and 3 bedroom homes near 9th St and Camelback - great Central Phoenix location! Pools, spas, remodeled clubhouse, fitness center, and business center, plus private java bar, make this community special. Garages available on select homes. Contact us NOW at citi@weareazrealestate.com. THE HAWTHORNE* - Incredible location (3rd Ave/Indian School) and unique floor plans with character! Spacious 1, 2 and 3 bedroom homes, The community is gated, and includes a fitness center, 2 pools, 2 hydrotherapy spas, and 9' ceilings, plus gas fireplaces in select homes. Hawthorne@weareazrealestate.com for details! THE ARCADIA RESIDENCES - LOCATION, LOCATION! In the heart of Camelback corridor/Arcadia area at Camelback and 40th St. This property will offer one and two bedroom units with pool, fitness center, business center and gated entries. Conveniently located close to the busy office mecca of the Camelback corridor, restaurants, and shopping, this provides the best of it all. arcres@weareazrealestate.com . 3rd AVE PALMS - Contact us 3ave@weareazrealestate.com to see this property! 1bed/1 bath to 3/2 with garages in an awesome Central Avenue Corridor location close to downtown, sports, and cultural events for an exciting lifestyle! BILTMORE PALMS - bpalms@weareazrealestate.com Gated community with attached garages, fireplaces, and fully-remodeled, custom-feel homes that were built in 1998. Features include granite countertops and roman tubs. 1, 2 and 3 bedroom homes. 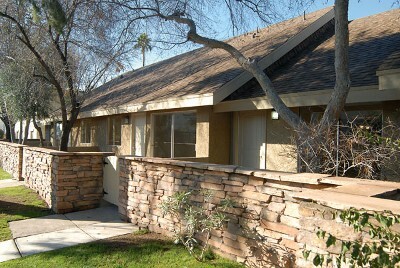 AVALON HILLS - Near 35th Ave and Bell, this complex was built in 1985. It offers 1 and 2 bedroom homes. Three upgrade packages available complete with new appliances, interior/exterior paint, carpet, countertops, roof and new tile in entry, kitchen and bathrooms. Tucked away in a residential community, this condo is a must see. Now accepting investors! 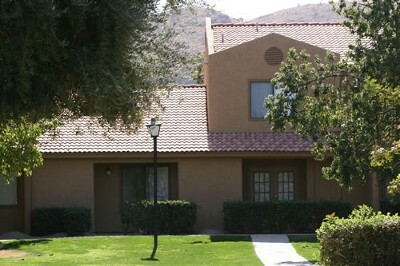 A pool, 2 spas, tennis court, and fitness center are on-site, and the community is close to the 101, I-17 and ASU West! For more details, please e-mail avhill@weareazrealestate.com! PHOENICIAN PINES - Also located near 35th Avenue and Bell Road. Phoenician Pines offers 240 residences in a gated community with five floor plans ranging in size from 758 to 1,322 square feet. These one, two and three-bedroom residences have been upgraded with many features, including crown molding, granite slab countertops, maple cabinets, tile flooring and Hotpoint® appliances. Contact us at pines@weareazrealestate.com. SHAMROCK GLEN - 1, 2 and 3 bedroom homes, near Cave Creek Rd/Thunderbird. The beautiful grounds include a pool, spa, BBQ area and ramadas, and a dog run! All homes are fully remodeled. contact us at shamg@weareazrealestate.com. THE CLIFFS AT NORTH MOUNTAIN - Great Moon Valley location! 1 and 2 bedrooms, starting from the $110s. Amenities include 2 pools with spas, fitness center, hobby room, clubhouse, and easy access to Phoenix North Mountain Preserve. The whole community is on a WIFI system, so you can take your laptop to the pool and work! cliff@weareazrealestate.com. SUNGATE AT MOON MOUNTAIN - At the base of Moon Mountain, this community is both convenient AND affordable! 1 Bedrooms from the $100s; 2 beds, 2 baths from the $130s! 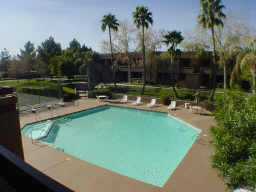 It features a resort-like pool and spa, brand new fitness center, private covered patios, and various upgrade packages. - e-mail sungate@weareazrealestate.com for more info! RANCHO MIRADA - An enclave of stylish contemporary residences with a Southwestern flair. This distinctive community offers precisely what savvy homebuyers request; a beautiful pool & spa area, exercise room, mature landscaping, assigned covered parking and a gated entry with remote control access. The first floor one-bedroom homes feature flowing spaces, a fireplace, oversized walk-in closet and an unusually spacious walled patio. The dramatic second floor two-bedroom homes feature a fireplace, large balcony, angled kitchen and a stairway to the third floor master suite overlooking the living room complete with a big walk-in closet, bathroom and private balcony. All units are fully remodeled. This community is convenient to the SR-51 and Greenway, just minutes from anywhere! rancho@weareazrealestate.com. BELLA TERRA AT PARADISE VALLEY - One, two and three bedroom condominium homes are available. The property has undergone a complete renovation. All 240 Bella Terra homes will have upgrade plans available with : granite countertops, state of-the-art kitchen appliances, brand new flooring, light fixtures, window treatments and a fresh new look to the landscape and property décor. Other upgrades to the property include the newly transformed clubhouse, complete with large screen plasma television, new furnishings and a spacious kitchen, as well as a convenient business center and new fitness center. contact us for info. Belter@weareazrealestate.com. MILANO TERRACE - Located near Tatum and Shea, Milano Terrace Private Residences is a distinctive gated community, offering elegance and convenience you’d expect from a resort interwoven with the comforts of being at home. With views of the McDowell Mountains and direct access to the Stone Creek Golf Course, your daily routine can include leisurely walks along the paths that parallel the fairways. Create the perfect background for carefree living and surround yourself with amenities like swimming pools, spa, hot tub, sauna, outdoor grills, picnic areas, and much more. Contact us to purchase in this fantastic Golf Course community! One and Two Bedroom homes still available mt@weareazrealestate.com. 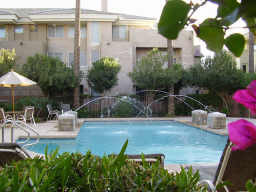 NORTHPARC CONDOMINIUMS- NorthParc features 1, 2, and 3 bedroom homes in a great N Central Phoenix location! The community has a park-like setting and offers an active lifestyle; there are 2 swimming pools, impressive clubhouse,fitness center, BBQ area, and children's play area. Just outside of the gated community, there is a wide variety of shopping, dining + entertainment, and you are near the I-17, 101 and 51! Contact us at Nparc@weareazrealestate.com! TERRA VISTA - Loft, 1, 2 and 3 bedroom homes in Tatum Ranch! Homes range from 742 to 1,269 livable sf, and offer private garages and custom upgrades! Gated community boasts a fitness center, resort-style pool and spa. Terravista@weareazrealestate.com. 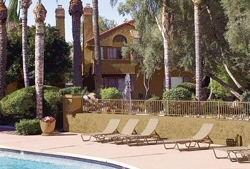 RAVEN'S VIEW AT SOUTH MOUNTAIN - Enjoy ownership in this one-of-a-kind condominium lifestyle, all yours in a highly-preferred location close to South Mountain Park, downtown Phoenix, golf courses, and other area attractions. NOW SELLING - contact us for an appointment! raven@weareazrealestate.com. Raven's View features a choice from 6 One, Two, and Three Bedroom floorplans, heated swimming pool and spa, Clubhouse and Fitness Center, gated entrance and updated, manicured landscaping. Raven's View is directly adjacent to the famous Raven Golf Course. 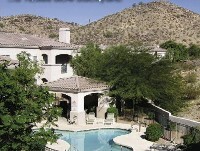 SANTA ROSA - This community located in the Ahwatukee Foothills provides fabulous views of South Mountain. There are three available floorplans, starting at 789 s.f. up to 1276 s.f. The property includes a resort-style pool, fitness center, clubhouse, and available attached garages. sros@weareazrealestate.com. PORTOFINO - Portofino offers 1, 2, and 3 bedroom plans from 725 sq. ft. to 1267 sq. ft. This property is provides the luxury amenities that make your home a retreat. pf@weareazrealestate.com. 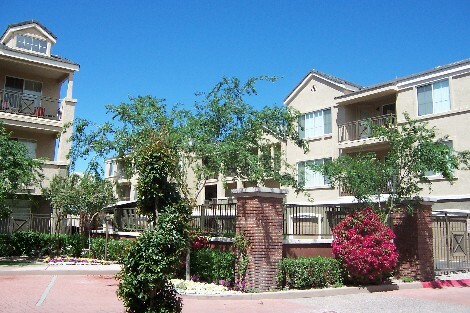 MARIBELA CONDOS - 1 and 2 bedrooms, conveniently located at Maryland and the I-17! The community offers a pool, spa, BBQ areas, fitness center and gazebos, on a lush, park-like setting. Maribela@WeAreAZRealEstate.com. 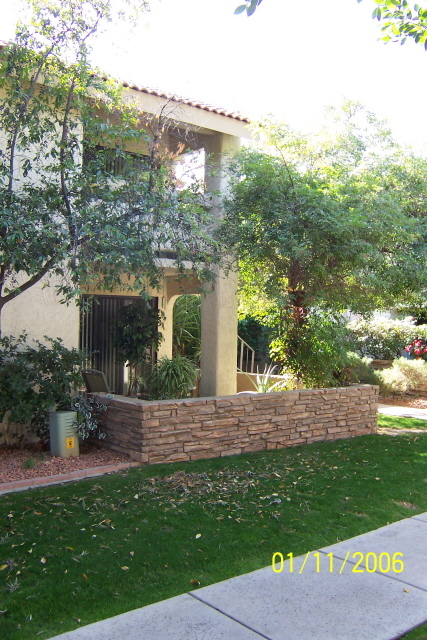 THE PRESERVE - A 108-home condo community located near the western base of Piestewa Peak. The Preserve is an oasis of privacy, yet convenient to major thoroughfares that afford easy access to Paradise Valley, Scottsdale, the Camelback Corridor, downtown Phoenix, and more. LANDMARK ON CENTRAL - The Conversion of the 17-story Camelback Towers may be done, but re-sales are available. Right on the Light Rail line. Featuring a movie theater, pool, and fitness center, and a rooftop Sky Lounge. See more info in the New Condo section.